Spent 9 years as head coach of the girls swim team and returned in 2003 to coach the boy's team. Won six straight Class B State Championships from 1992-97. The only coach in Maine high school swimming history to win six straight girls titles. Led the 2003 boys team to the Class B State Championship. 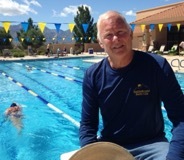 Current coach of the Saddlebrook Swim Club in Arizona. Former Head Coach of Puerto Rican National Team. Former Executive Director Old Town – Orono YMCA. Former Old Town school board member. Remains a competitive swimmer in the U.S. Masters Swimming Organization. 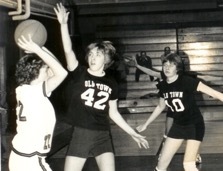 Played basketball and softball at Old Town High School. Three-year starter in basketball helping her teams compile an overall record of 49-13. Led the 1980 team to the Eastern Maine Class A Championship. 1980 Bangor Daily News All-Tourney Team. 1980 National Basketball Coaches Association All-American Team. Bangor Daily News Sportswomen of the Year. Finished her career with 1,137 career points. 1980 averaged 23 points per game, finishing with 506 total points. 1979 – pitched a 3-hit shutout over John Bapst. The first ever recorded shutout by an Old Town softball pitcher. Following her graduation, Diana played two seasons for the University of Maine. Competed in track and field hockey at Old Town High School. Current school record holder for indoor 55m high hurdles (8.6 seconds). Helped the 1983 and 85 indoor track teams win the Class B State Championship. Helped lead the 1985 outdoor track team to the Class B State Championship. Was part of the indoor Eastern Maine Championship team in 1984. Named to the All-State track team her sophomore, junior and senior seasons in both indoor and outdoor track. Following her graduation, she spent four years competing for the Colby College track and field teams. Lettered in basketball, baseball, and football at Old Town High School. Helped lead the 1952 team to the Class LL State Championship, the first in school history. 1952 Bangor Daily News All-Tourney team. Helped 1951 team advance to Eastern Maine Championship. During his senior season, Carlow helped lead the football, basketball and baseball teams to a combined record of 27-8. A three-sport athlete at Old Town High School competing in field hockey, basketball, and softball. Two-time All-State in field hockey. Two-time All-Conference field hockey selection. Named team captain for field hockey, basketball, and softball. Played four years on the UMass Lowell field hockey team. Won the 2010 NCAA National Championship. Helped her team reach the National Championship game four straight years. Two time First Team All-American. Two time First Team All-Conference. Named conference Defensive Player of the Year. Named to the conference All-Tourney team twice. Compiled a career record of 80-14 at UMass Lowell. Spent time as an assistant field hockey coach at the College of Holy Cross and Husson University. Also coached several elite field hockey club teams. Sterling lettered in basketball and baseball at Old Town High School. 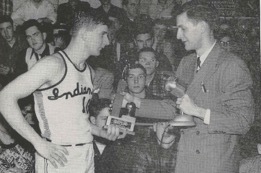 In 1965 Sterling set a then MacKenzie Gym scoring record with 39 points in a game. Following the 1965 season, he was named the teams MVP. Sterling continued his basketball career at UMaine Fort Kent where he was a 1,000 point scorer. 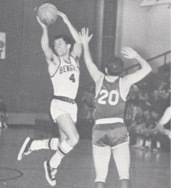 Led the Bengals to their first-ever Northeast College Conference Championship. Inducted into the UMFK Hall of Fame in 2012. After college Sterling took to the coaching ranks as Head Coach of the Van Buren High School boys team where he led the Crusaders to their first-ever Eastern Maine Tournament appearance. Sterling was credited with organizing the Pen Bay Running Club in 1982.